Smart phone weather stations have one or more sensors that communicate via Bluetooth or your wireless network. mounting options are available for our complete and professional weather stations. Portable weather radios provide weather information and emergency broadcasts when you’re on the go. These detectors are self contained and detect dangerous lightning produced by approaching thunderstorms. Browse our “Open-Box” discounted items. Includes our same 60-Day Satisfaction Guarantee! In order to obtain accurate barometric pressure measurements, a barometer needs to be both stable and calibrated against a known reference atmospheric pressure source, i.e. one that is professionally maintained. Without calibration, air pressure measurements from home weather stations have little value other than in identifying pressure trends. Most weather stations house their barometric pressure sensor within the weather station display console. Therefore, placement of the weather station console receiver is an important consideration since the physical environment of the console will influence air pressure measurement readings. If possible, install the console at an indoor location where the temperature is as constant as practical, i.e. not affected by home heating, drafts, or the sun. Station elevation, or the height of your location above sea level, is also a factor influencing barometric pressure measurements. Since all barometric pressure measurements are referenced to sea level pressure, the effect of the higher elevation needs to be removed so that readings are comparable, whether they’re taken on top of a mountain or at the seashore. The National Weather Service (NWS) defines this standard as: "A pressure value obtained by the theoretical reduction of barometric pressure to sea level. Where the Earth’s surface is above sea level, it is assumed that the atmosphere extends to sea level below the station and that the properties of that hypothetical atmosphere are related to conditions observed at the station." As mentioned above, the barometer needs to be calibrated against a professionally maintained, known reference pressure source. This can generally be done with ease on most home weather stations, ensuring consistent performance. The NWS tests their pressure gauges annually using calibrated instruments from the National Pressure Standards Laboratory. Taking the altitude of your instrument into account, calibrating your barometer using the air pressure measurement of the nearest NWS automated weather station is highly recommended. To find the nearest ASOS station to you, visit NOAA’s National Weather Service and enter your zip code. Please be aware that most manufacturers provide an altitude rating for the barometer in their weather stations. Many are limited to operating at 6,000 feet or below and using the station above the maximum rated altitude will likely result in erroneous barometer pressure readings. If your weather station is going to be installed above 6,000 feet elevation be sure to check the altitude rating before making your purchase. All content on the WeatherShack Education Center is Copyright 2002-2018 WeatherShack.com. This material may not be reproduced, displayed, modified or distributed without the express prior written permission of WeatherShack.com. For permission, please contact [email protected] . Copyright © 2002-2018 WeatherShack.com. All Rights Reserved. 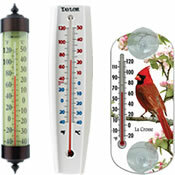 Keep track of your environment and your time with this multi-functional handheld barometer. Fisherbrand Traceable Handheld Digital Barometer measures and digitally displays temperature, altitude and barometric pressure. Enables you to predict weather conditions with respect to water levels. Keep track of results for thermometers, hygrometers, barometers, light meters, anemometers, manometers, dissolved oxygen, conductivity and more. Fisher Scientific™ Computer Data Acquisition System for Digital Barometer is for use with Fisher Scientific&trade; Traceable&trade; Digital Barometer. A high quality teaching barometer to demonstrate operation. The exposed aneroid shows the change in barometric pressure when the attached bulb is pumped. Features a plastic case, dual-scale black markings, white dial and a movable pointer to observe direction and amount of change as it occurs. Barometer, altimeter, thermometer, stopwatch and time of day clock — all in one. Visually demonstrates the connection between altitude and atmospheric pressure to help your students understand this relationship. Measures and monitors atmospheric pressure. Become an amateur meteorologist with these all-in-one wireless stations. Safe, hands-on experimentation into the nature and properties of air pressure. Find a lower price & we’ll match it! Find weather instruments and barometric pressure gauges for prices you will love! Scientific Sales, Inc. carries atmospheric barometer weather instruments that will impress you with their accuracy and price. We carry brass barometers, aneroid barometers, barometric pressure sensors, and classic barographs to measure the atmospheric pressure. Paired with an anemometer , our weather barometers are great for home or industrial use. Regardless of why you are passionate about the weather, we want to help. Explore our options to find the best barometer for your needs. Confidently shop our barometers for sale with Scientific Sales Inc. and enjoy our Low Price Guarantee!